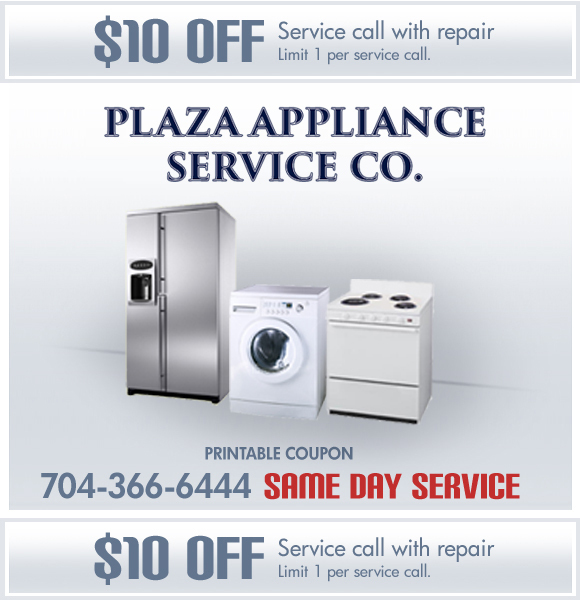 Print the coupon on this page and show it to your technician to receive this special offer! See a list of the large number of locations we provide our maintenance services to. We have office branches in the Charlotte and Fort Mill areas. Having trouble with a household appliance? Odds are, we can help! Check out this list of maintenance services we provide for your appliances.